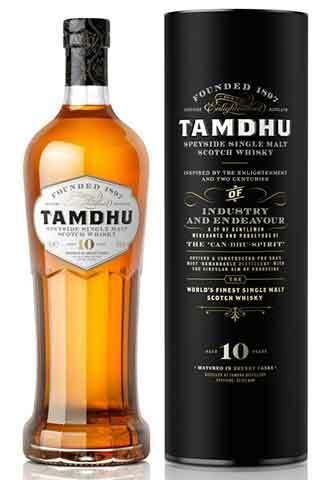 Categories: Whisky Distillery / Brand, Tamdhu, Region, Scotland, Speyside, Tamdhu, Age, Aged 3 to 10 Years, Price, $100 to $150. NOSE : Enjoy a softness of vanilla and sugared almonds, balanced by fresh oak and cinnamon. PALATE : Bursts with fruit and spice, gently revealing toffee and the richness of sherry oak. FINISH : With a touch of fresh fruit, becoming pleasantly drying, slowly unveiling the wisp of peat smoke. ‘Silver’ Scotch Single Malt – Speyside IWSC 2014. ‘Silver’ Distillers’ Single Malts 12 years and under, International Spirits Challenge 2014.